My name is Ashton Greusel. I am a junior at Lely High School who has had the privilege of being a part of the Gulfshore Playhouse family for two years now. My time with this exquisite theatre began nearly three years ago when I started seeing plays there. The following summer I signed up for an acting camp with the brilliant Cody Nickell, an esteemed actor of the Playhouse at the time. Little did I know, the following summer the Guiding STAR Program was created. I was a camp counselor with children ages 3 to 12 throughout nearly ten summer camps. I signed up for the Guiding STAR program with no idea of the journey I was embarking on. I figured that I was going to be overlooking the kids in acting activities as a helping hand. I didn’t know that I was actually going to help direct and build the sets in the workshop. Thanks to the amazing Leah Porrata, I actually got to help direct the actors in Peter Pan. Stopping the scene and walking them through how to make it better gave me a hands-on experience that seriously made me think about my future in this business. 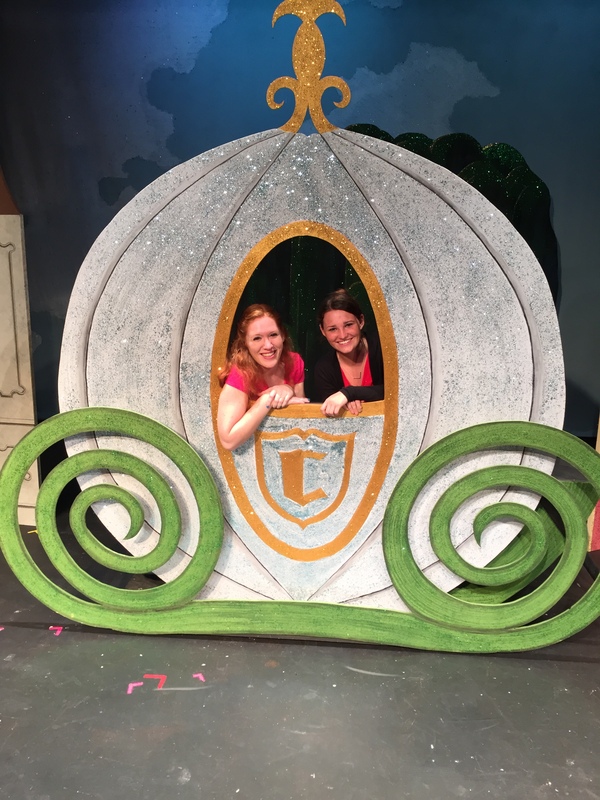 Around halfway through the summer, I began to help in the workshop with Gulfshore Playhouse’s Technical Director and summer camp set designer, Alex K. I’ve never really been one with physical labor or tools, but I wanted to at least check it out. I learned all about how things are designed and created to be the most efficient with the amount of time given to complete the set. My biggest achievement? Learning to use the staple gun. I had such a great time helping in the workshop that I’m going to come back and volunteer throughout the school year as well. I didn’t really get to help the inspiring costume designer, Jennifer Murray, as much as I would have liked to. This was not for the lack of opportunity, but for the fact that I do not know how to sew and am somewhat terrified of sewing machines. However, that doesn’t mean that there weren’t times when I tried to learn things in the costume shop. I successfully learned something called seam-ripping and I am rather proud of it. Although my time in the costume shop was minimal, I was always surrounded by smiling faces and laughter, yet another part of this family that I miss whenever I’m not there. Overall, my summer as a Guiding STAR was more than I could have ever hoped it would be. I learned and got to do so many things that I would have never been able to without the creation of this wonderful program. I will definitely be back next summer, how can one stay away from such a lovely place and program? I’d like to take this opportunity to thank someone who has had such a big impact on myself and my thoughts on my future, Leah Porrata. This amazing woman helped guide me throughout the entire summer and opened my eyes to the wonders that working in theatre can bring. I would not have been able to accomplish all that I did without her guidance. I would also like to thank everyone else who had a hand in my journey as well. It was truly a wonderful summer with truly wonderful people. Yeah Ashton! Keep it up! Dear Ashton….What a lovely tribute to Leah who is, indeed, pretty special and SO talented!! So glad you were able to participate and learn so much. Sounds like you made an important contribution to the summer production “Peter Pan”. WOW! I love this. Very articulate AND spelling was correct! We need more of these kids to experience how good GSP is!